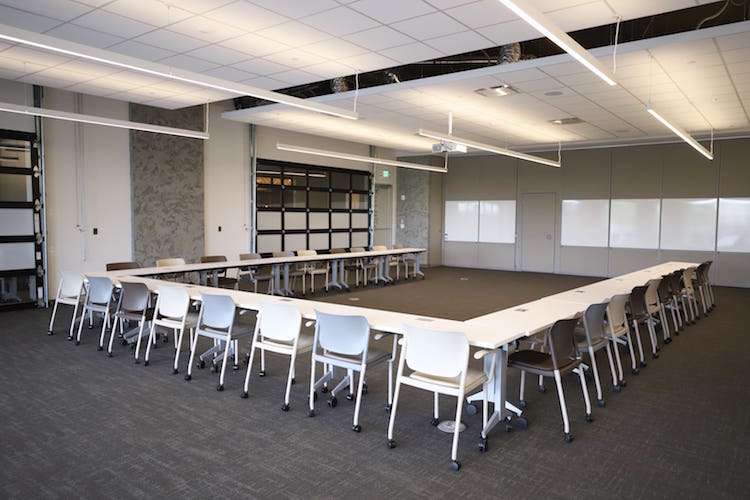 Serving as Roam Perimeter Center’s largest meeting room, the Garage and Forum combine to offer a flexible work space and event venue for up to 225 people. 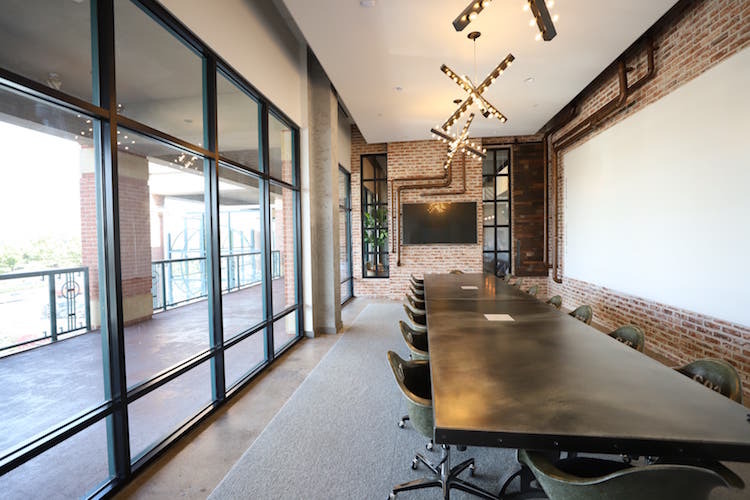 Enhanced by white brick walls and retractable garage doors this meeting room is an ideal setting for company gatherings, training sessions and large workshops. 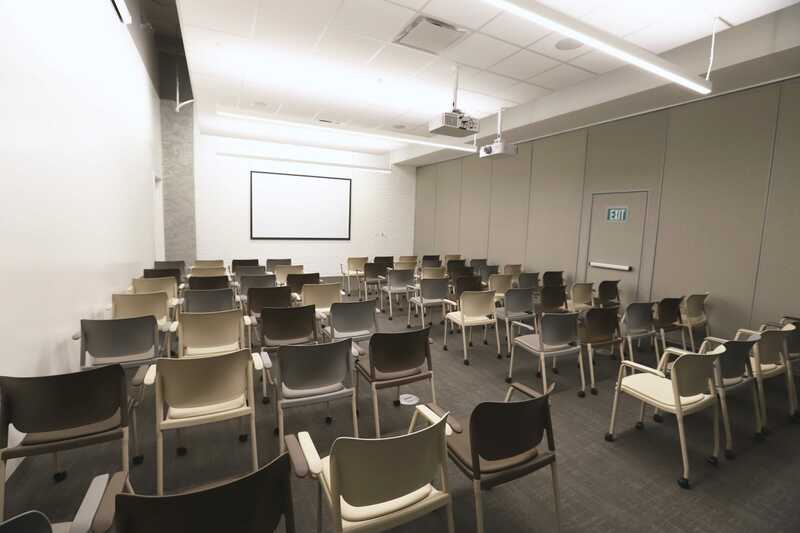 Personalize the space and make it your own with customizable seating arrangements, whiteboards and three HD projection screens. 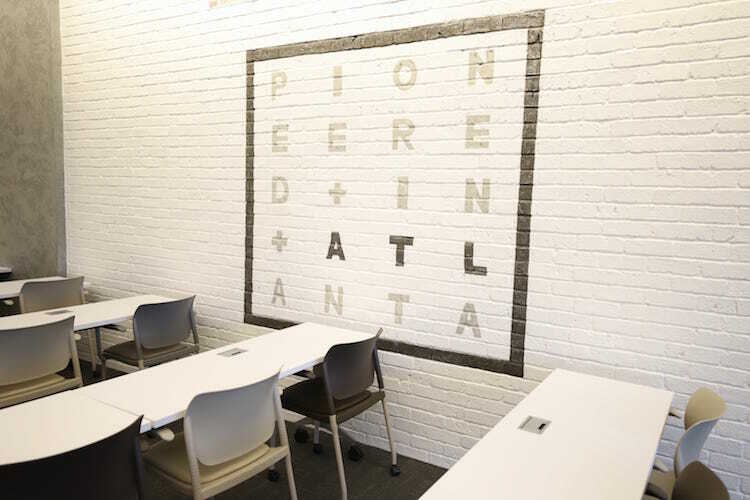 Like our innovative workplace, your next big meeting, idea or strategy can be “pioneered in Atlanta.” The Garage features white brick walls and retractable garage doors that uniquely enhance the space for workshops, training seminars and department-wide meetings. 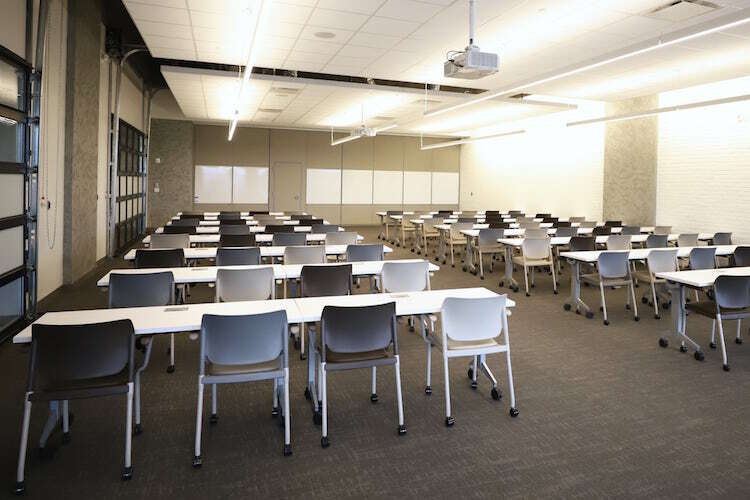 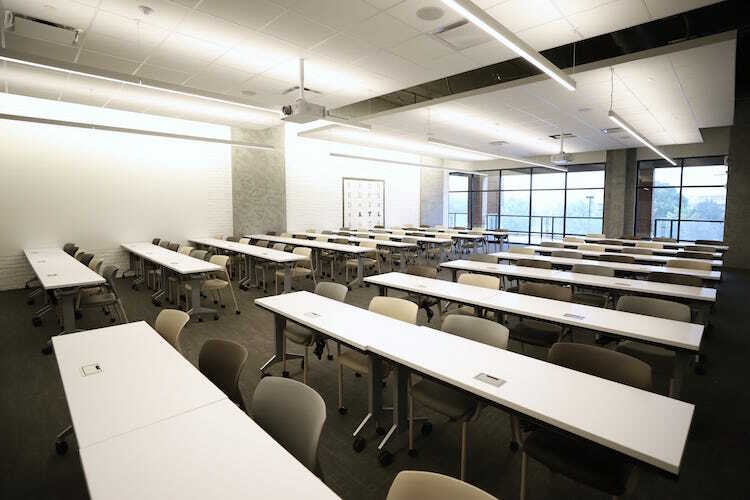 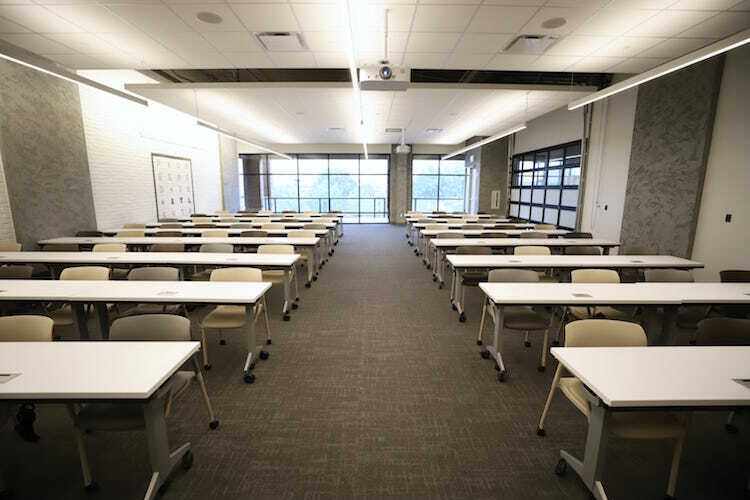 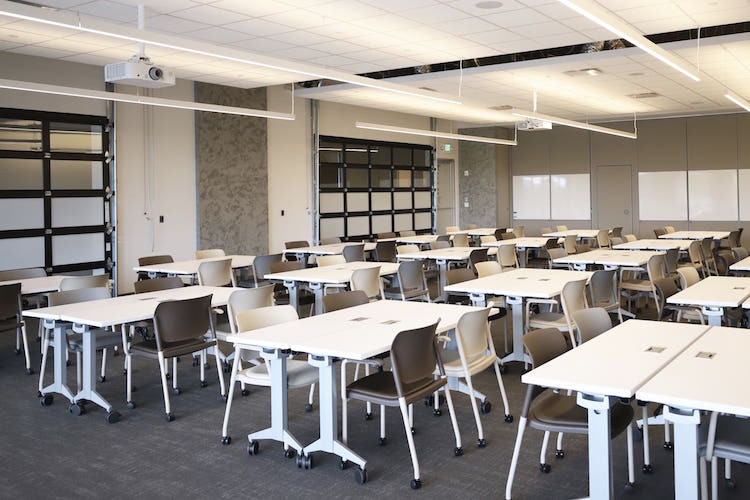 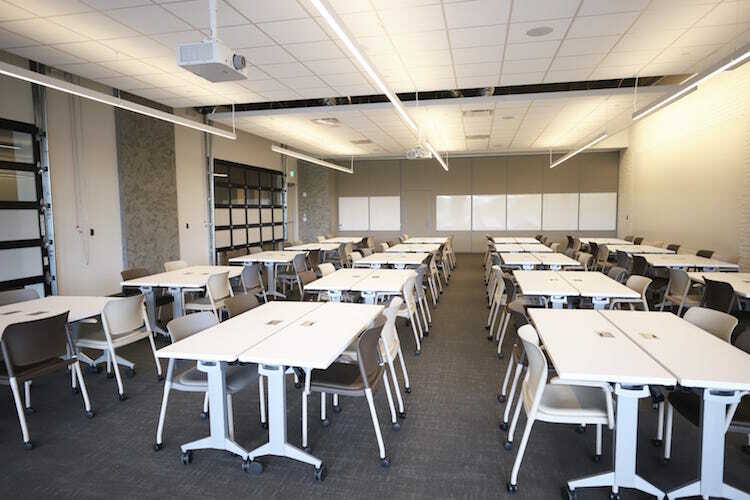 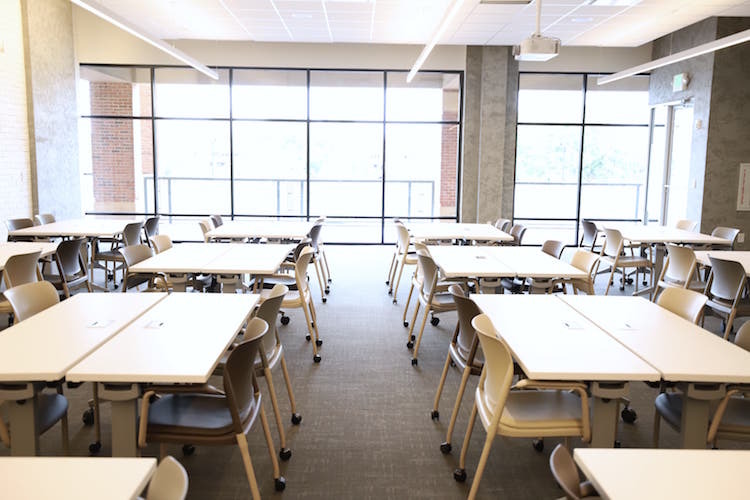 Make the space your own with inset whiteboard walls and customizable seating arrangements. 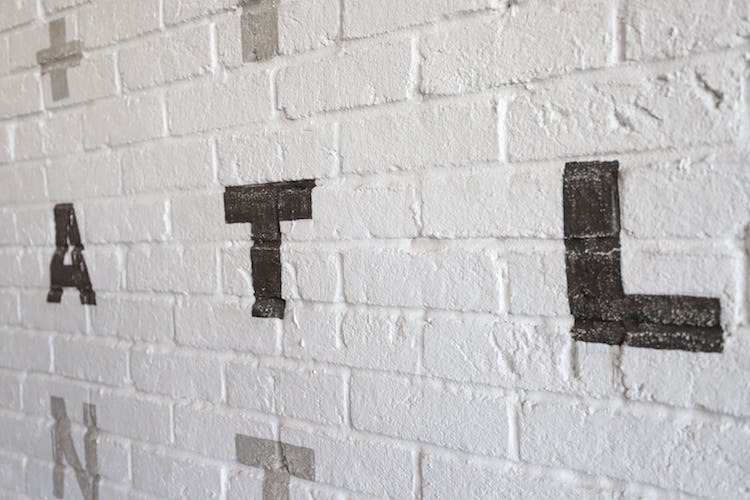 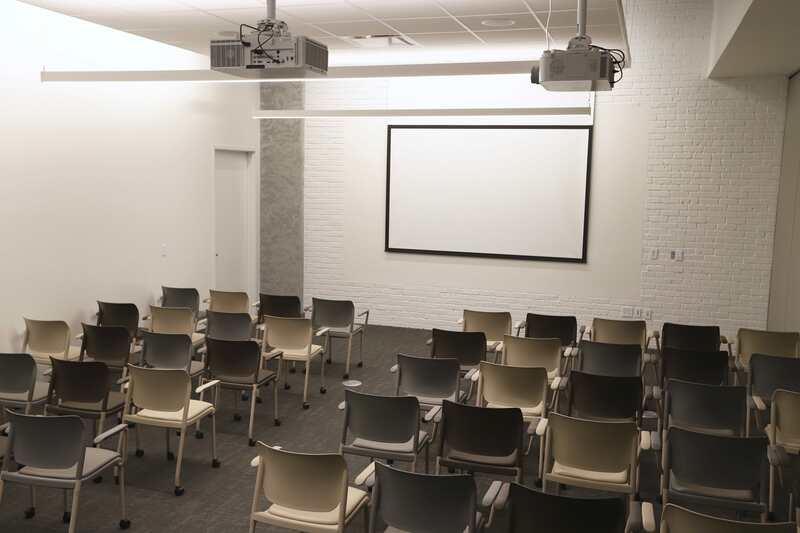 White brick walls and a large, inset whiteboard allow the Forum to be transformed and re-imagined for a variety of large meetings and workshops. 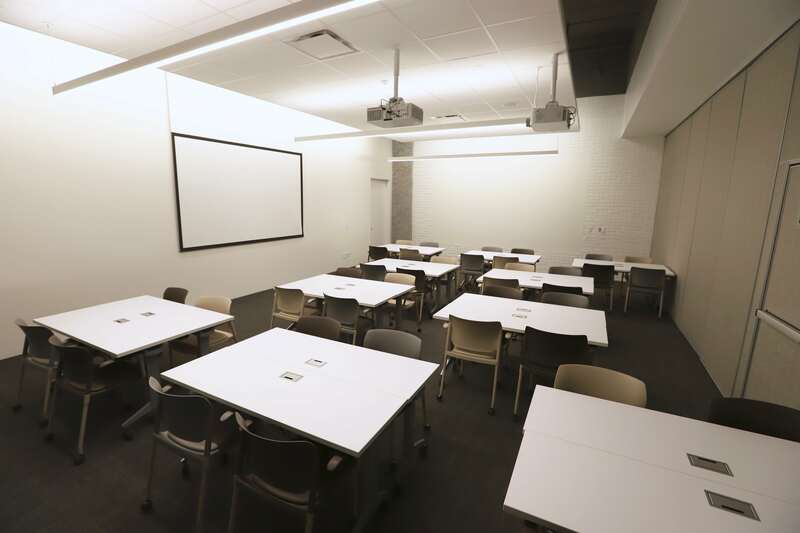 Customizable seating arrangements and a retractable garage door make this training room an innovative setting for your upcoming meeting. 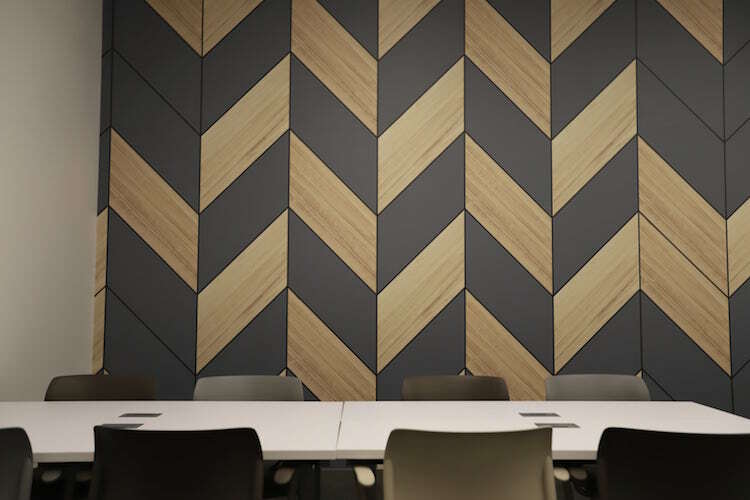 A unique focal wall featuring a geometric wood pattern enhance this large meeting space with creativity and energy. 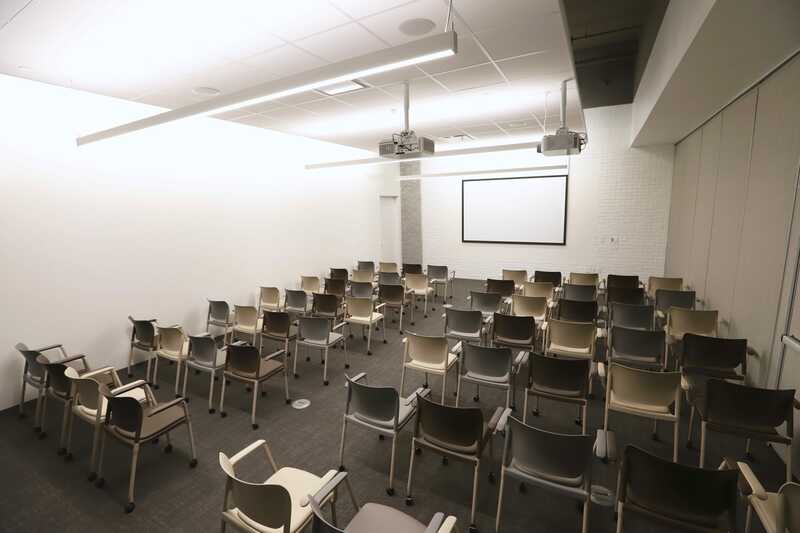 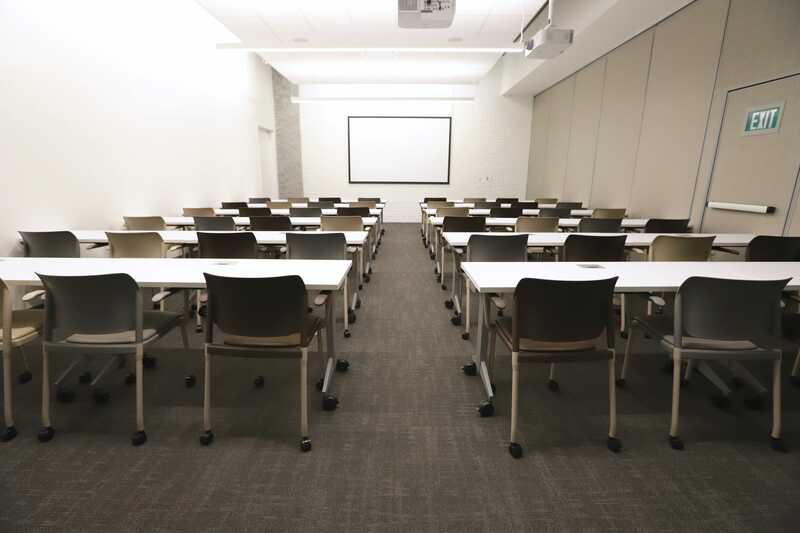 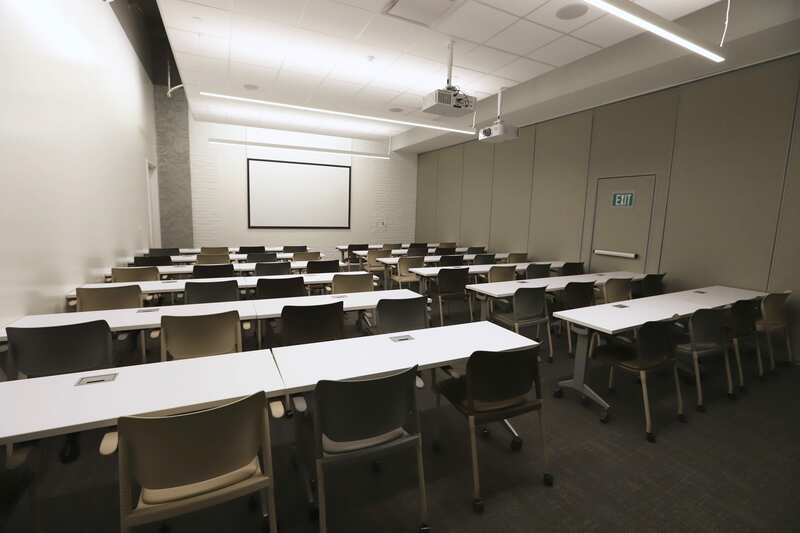 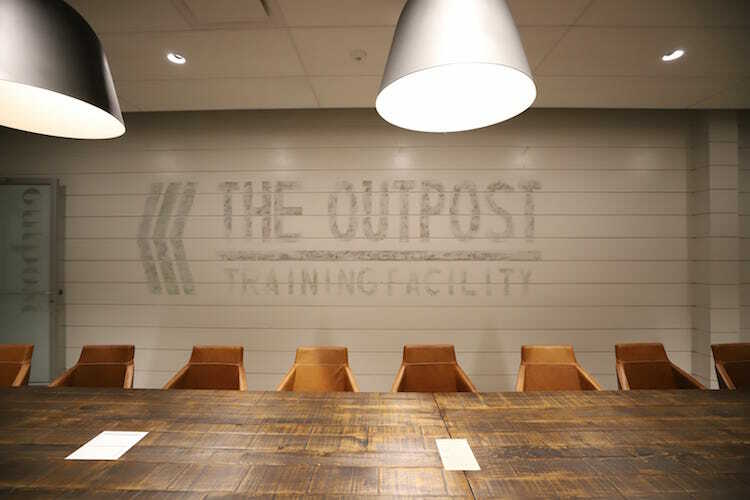 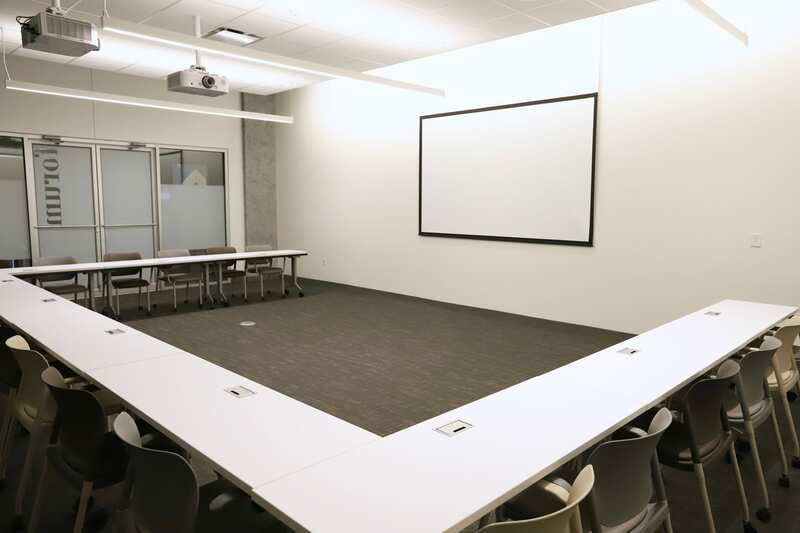 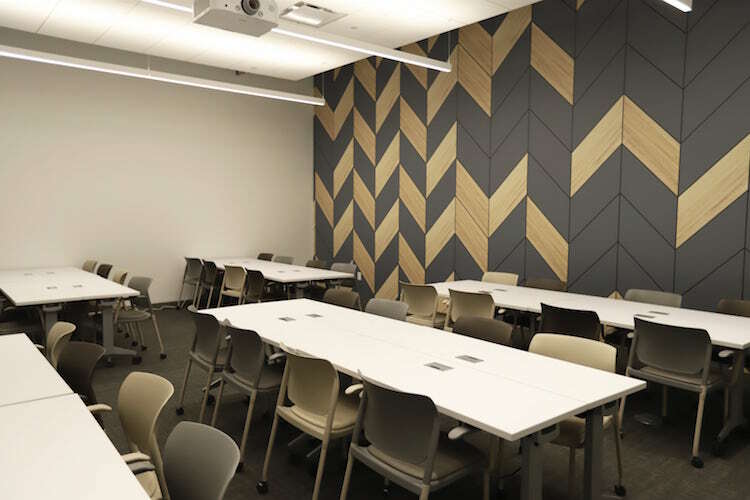 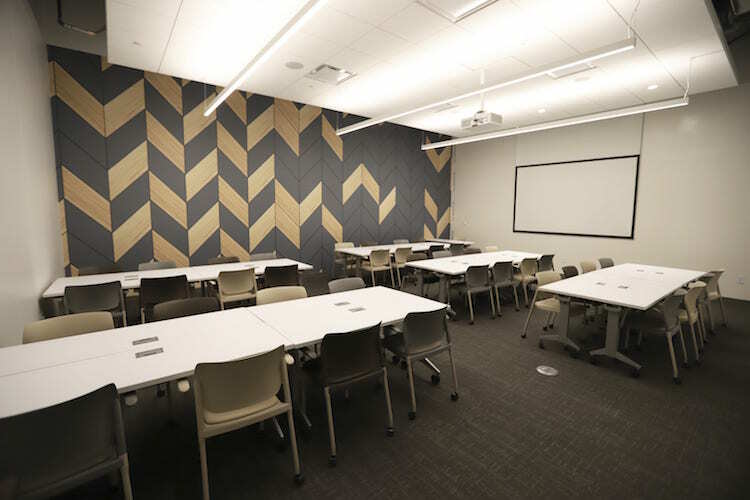 Customizable seating arrangements and a whiteboard wall make this meeting room ideal for training sessions, workshops and other large gatherings of up to 45 people. 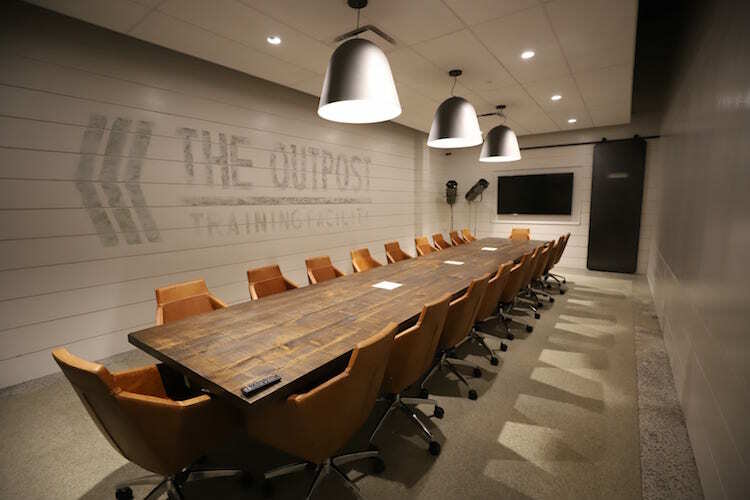 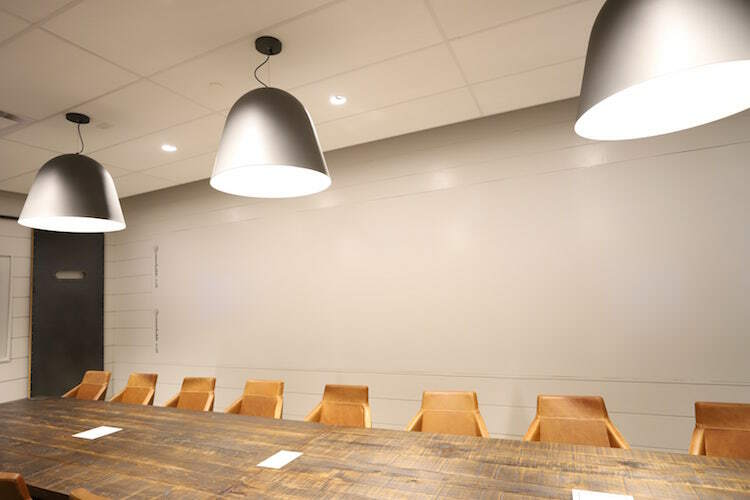 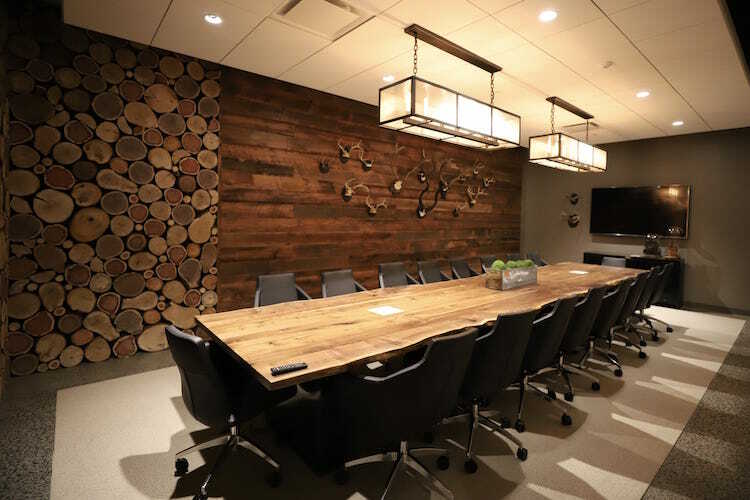 Refined shiplap walls and military-inspired decor accent this boardroom to create a unique meeting experience that is sure to impress your team and clients. 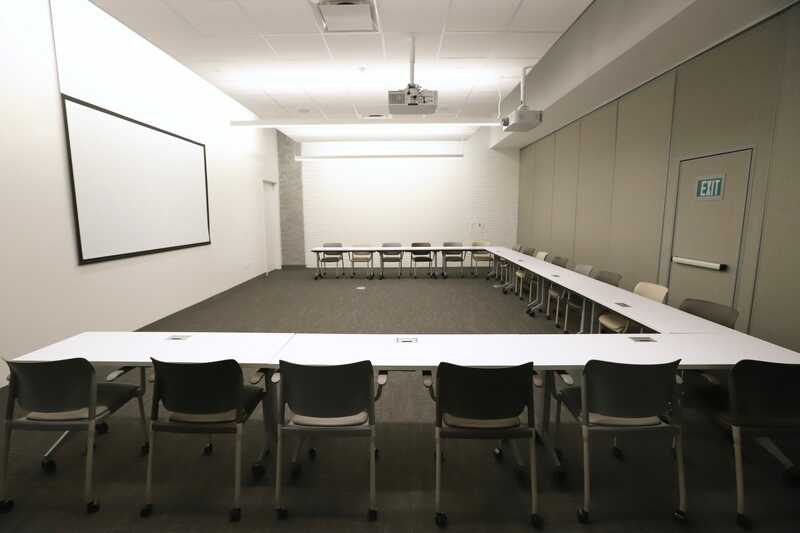 Facilitate strategic discussions and engaging team meetings in this luxury meeting room accommodating up to 20 people. 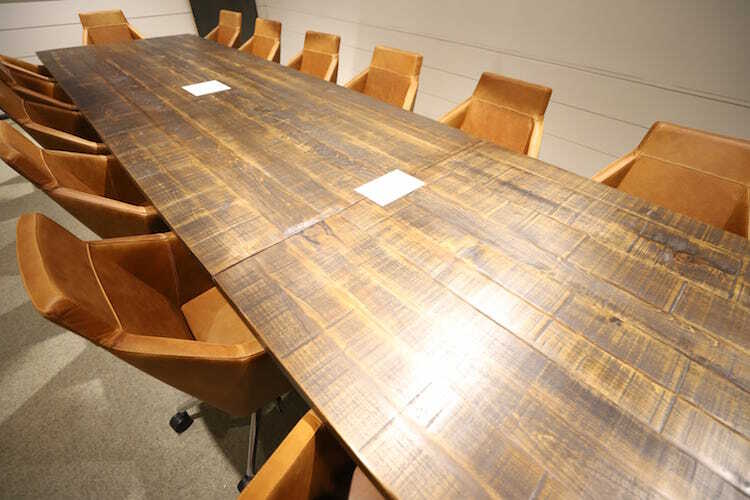 Retreat from the corporate office and standard conference rooms to meet off-site in this outdoor-inspired meeting room seating up to 18 people. 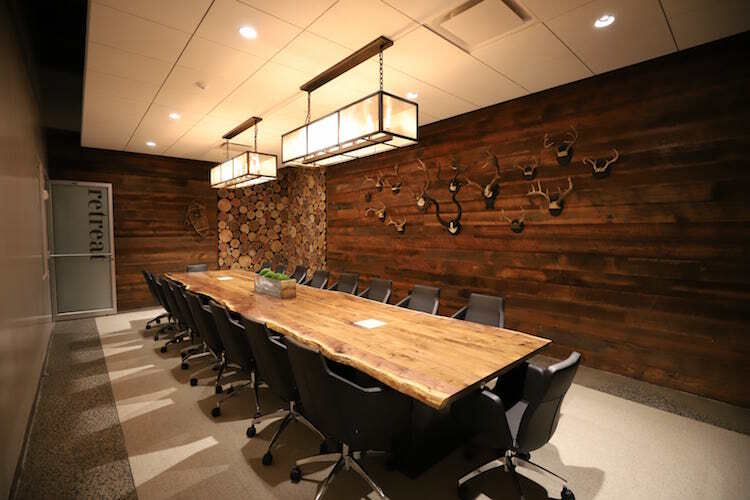 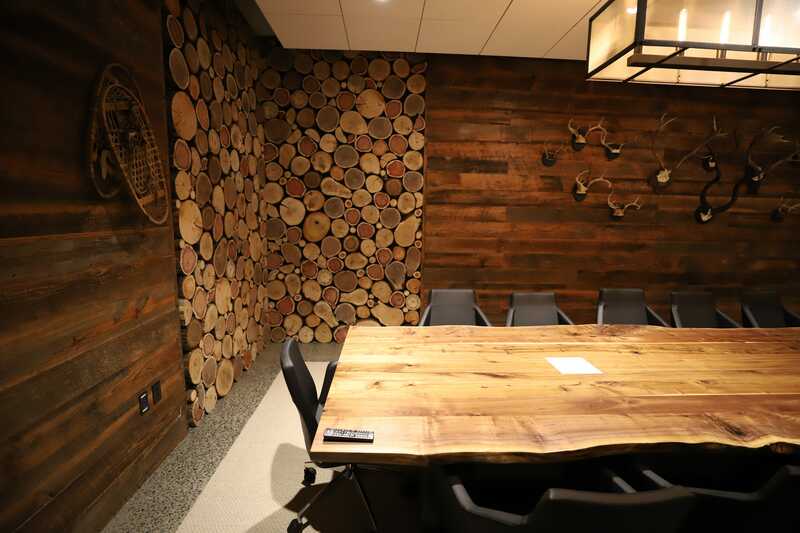 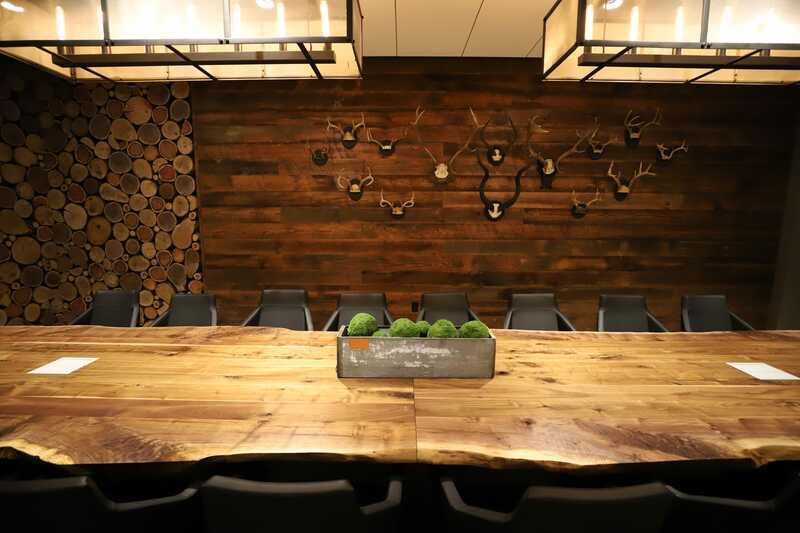 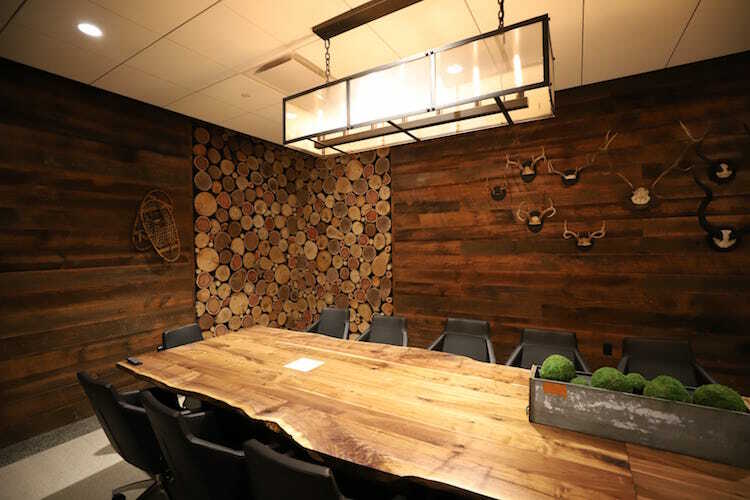 Wooded walls, mounted antlers and a live edge table craft an out-of-the-city escape perfect for creative meetings and strategic discussions. 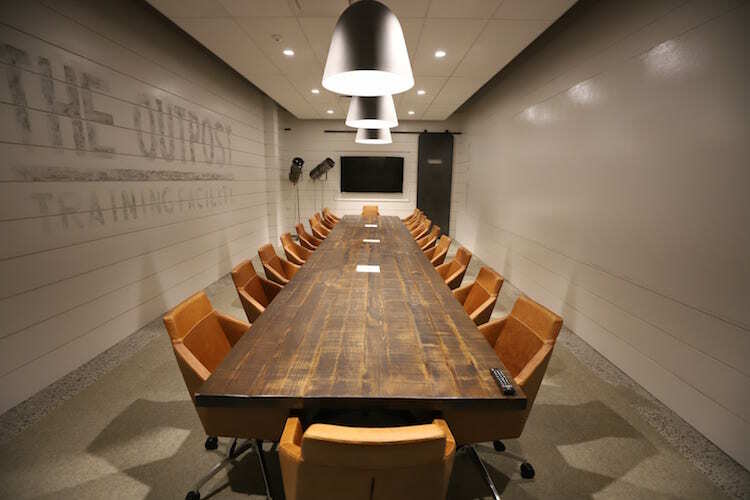 Assemble your team and manufacture your most innovative ideas in the Factory, a boardroom accommodating up to 16 people. 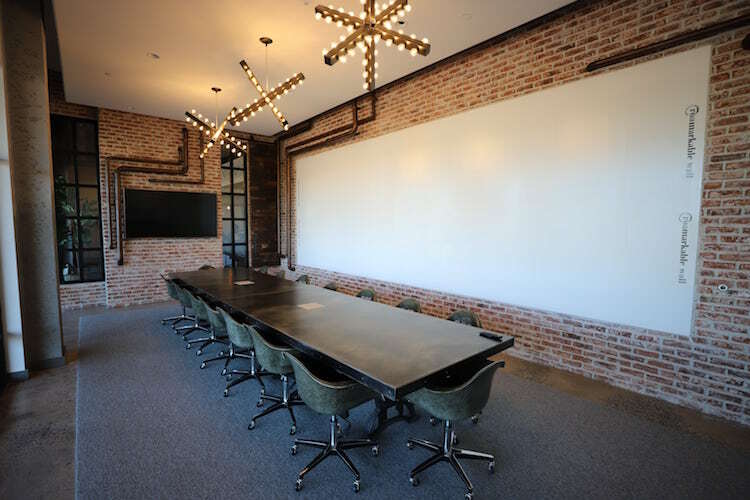 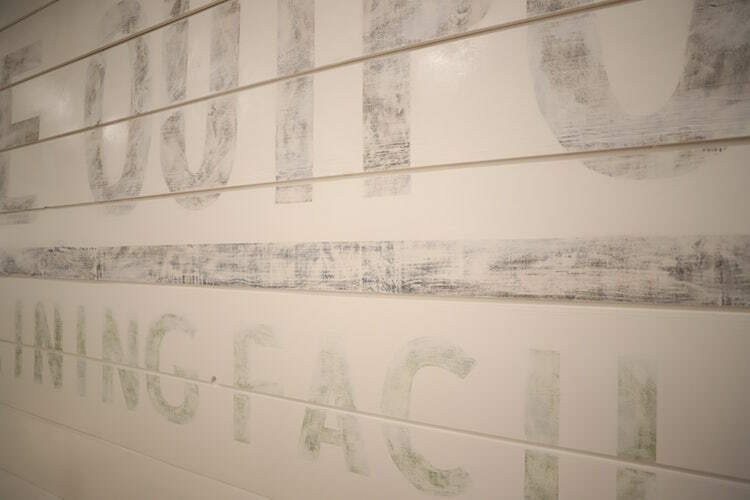 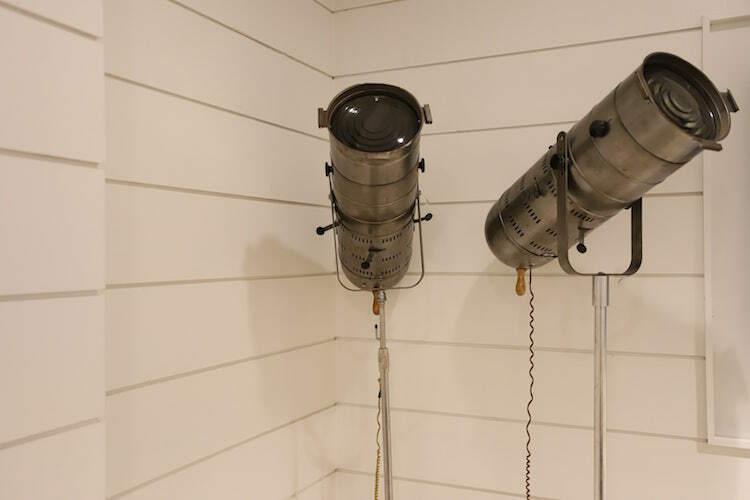 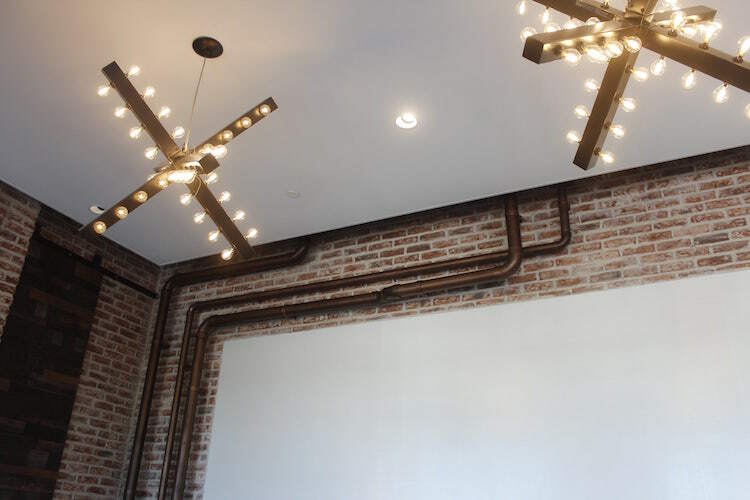 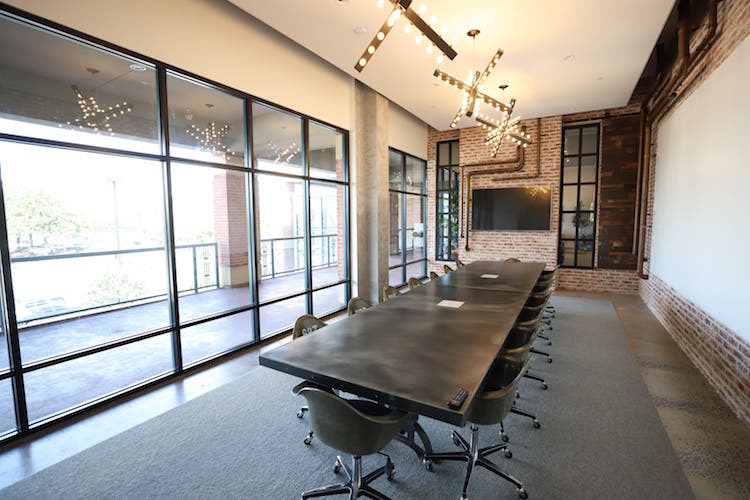 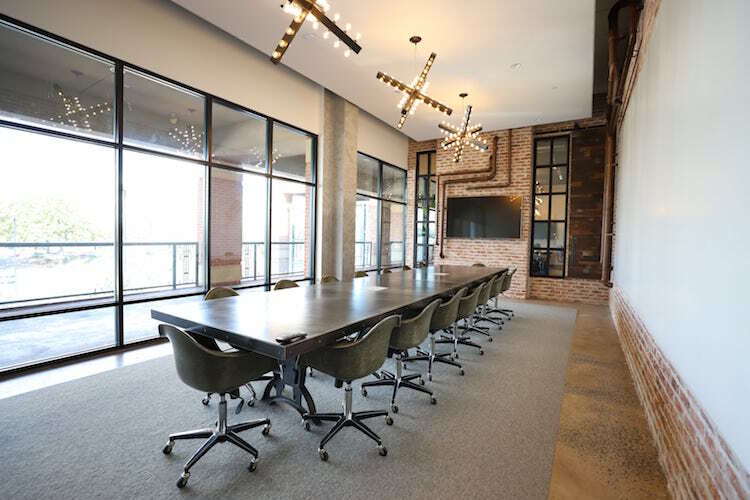 Exposed brick, copper piping and large floor-to-ceiling windows overlooking the Perimeter Mall area create an inspiring meeting space where chic meets industrial. 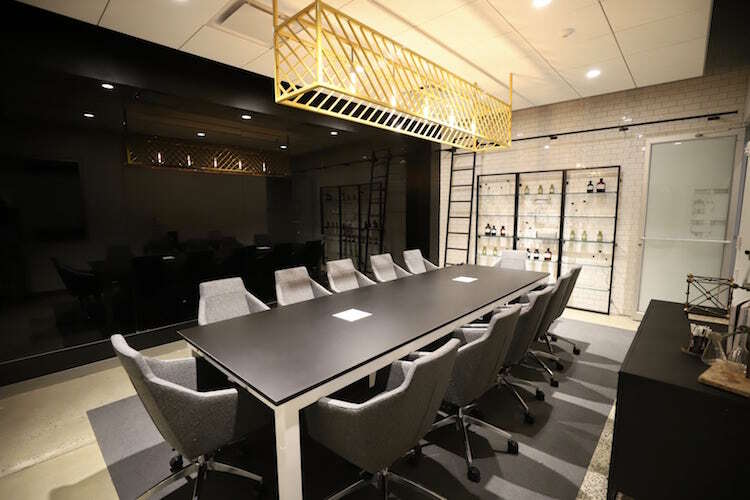 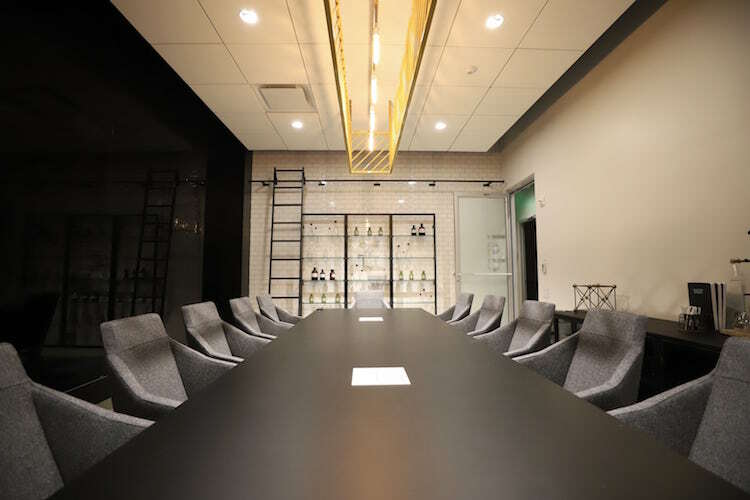 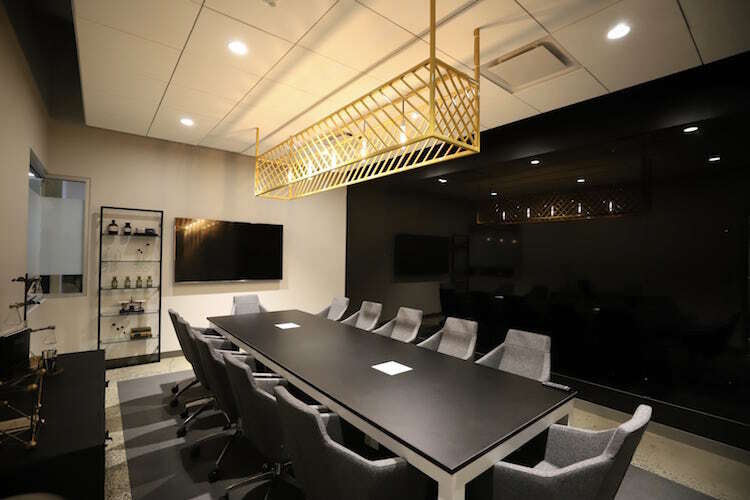 Experiment with meeting off-site in this luxury meeting space designed to inspire ideation and brainstorming. 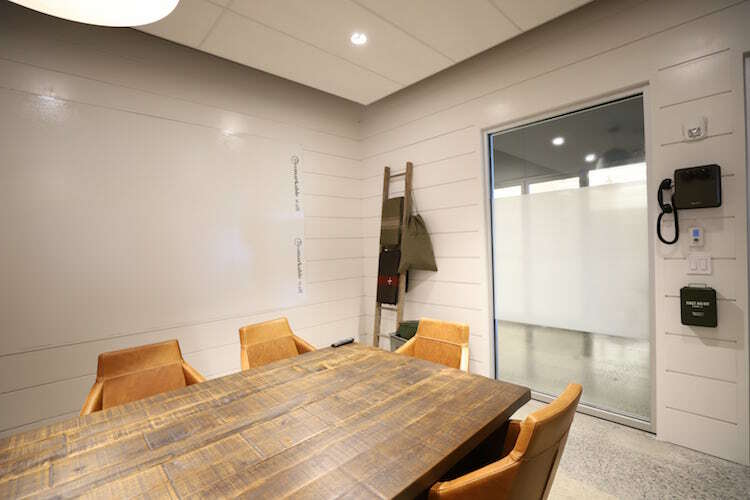 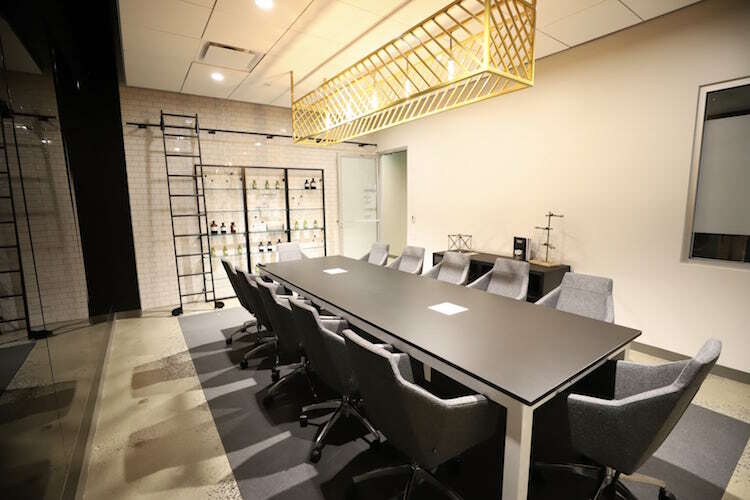 Subway tile, glass wall shelving and a black dry-erase board add a fresh, modern twist to the ordinary conference room. 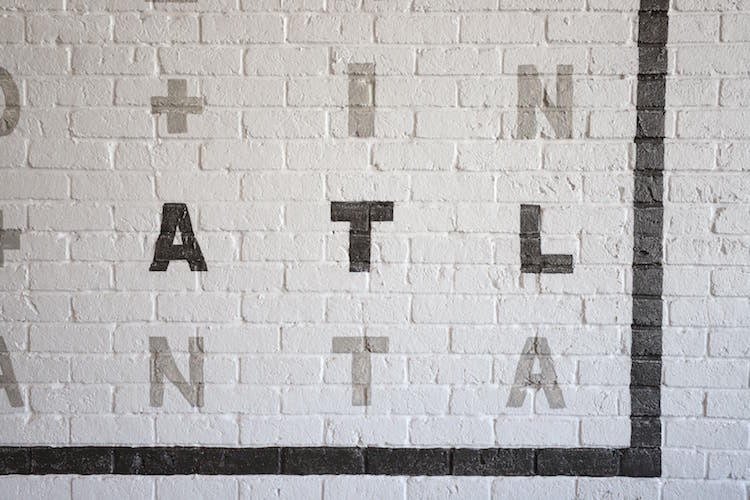 Invite a team of up to 12 people and get creating! 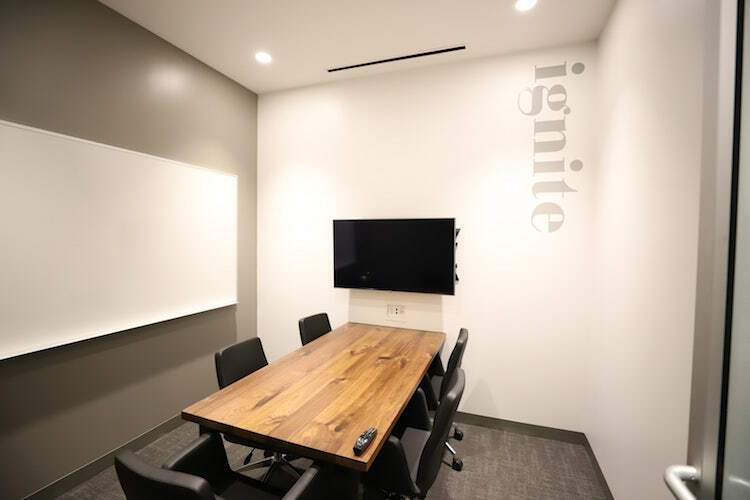 Ignite creativity to launch your next big idea or marketing campaign while meeting and brainstorming in this conference room accommodating up to 5 people. 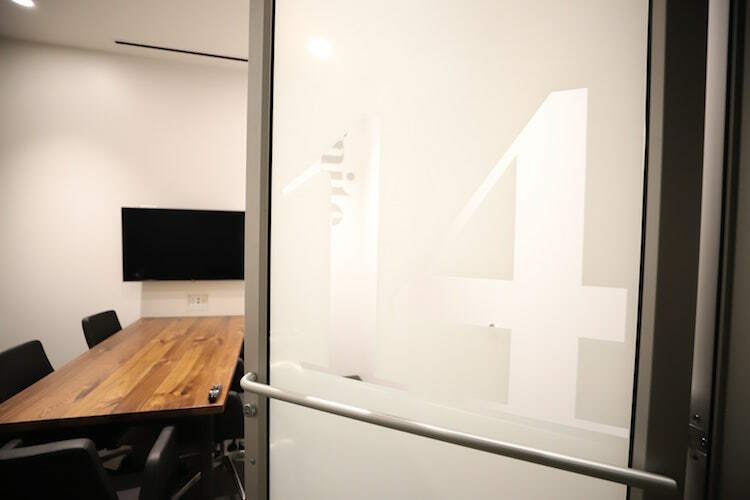 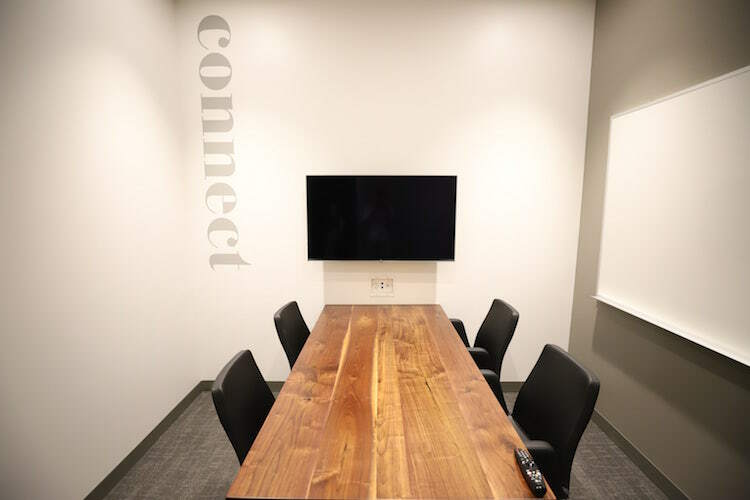 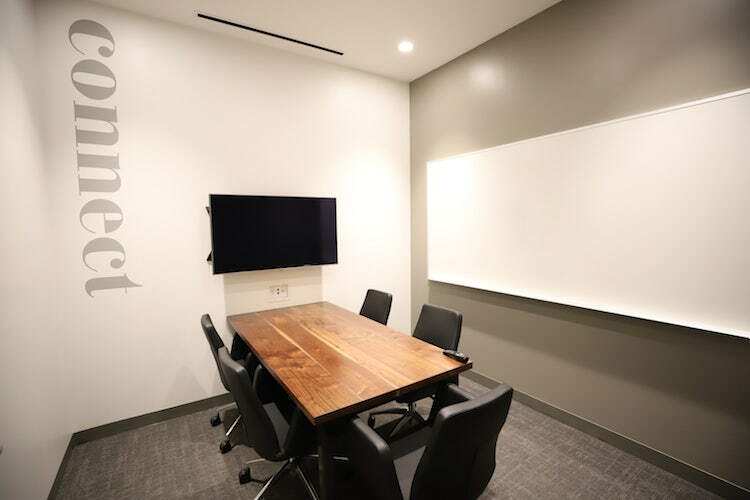 Utilize this meeting room to host your weekly team meeting or connect with remote coworkers when utilizing Roam’s complimentary conference phone, webcam and HD display.